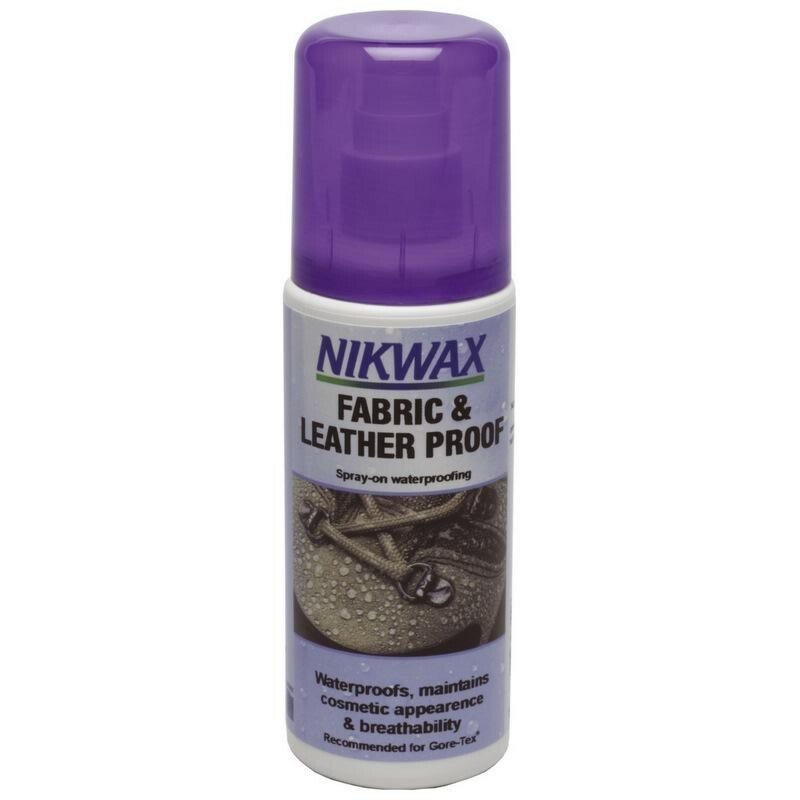 Sponge-on or spray-on treatment which waterproofs as well as maintaining support and breathability. Note: Light/coloured fabric and leather may darken after treatment. Test on a hidden area first.